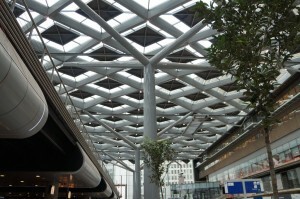 Den Haag Central station roof design. 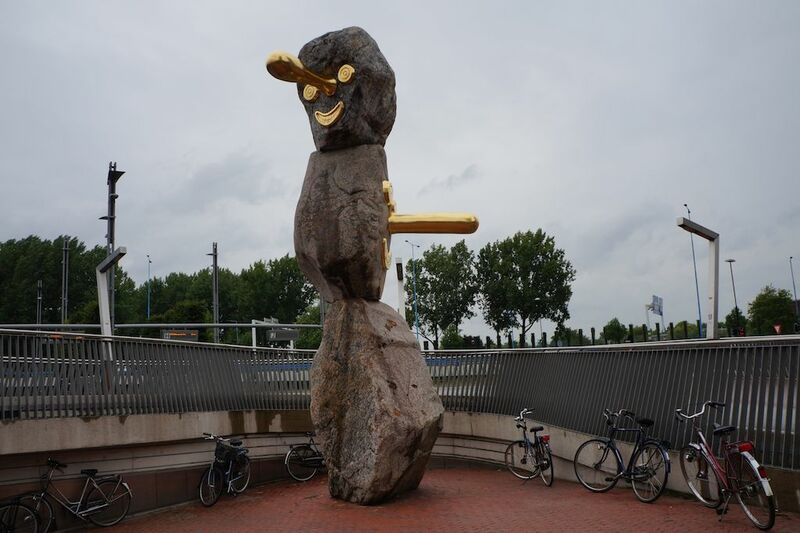 In our light rail Netherlands series, Distrita is pleased to introduce you all to Den Haag and Zoertermeer, which can be reached by train from Amsterdam, but also by train or even metro from Rotterdam. 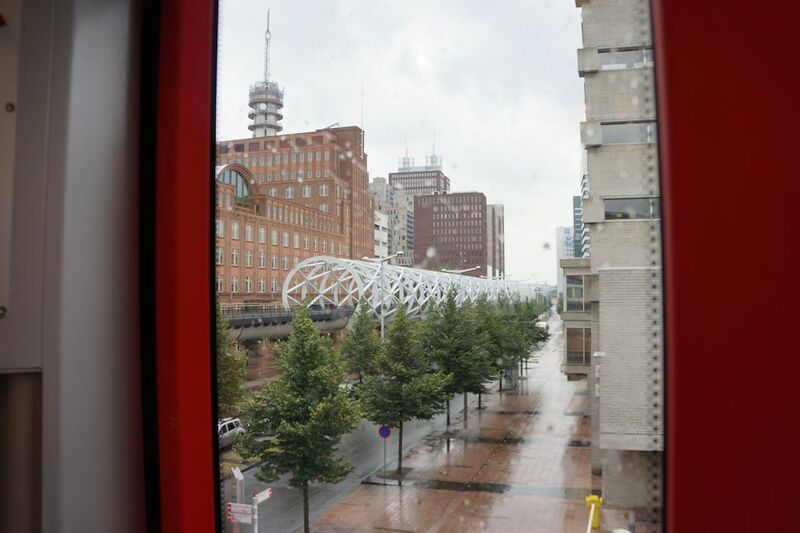 Metro Line E takes you all the way from Rotterdam Underground to Den Haag central station. The only strange thing here is that there is no co-operation between these 3 companies, so you need tickets for the metro, trams and busses in Rotterdam, the trams and busses in Den Haag and also a train ticket if you want to take the train which is faster than the metro between Rotterdam and Den Haag. Den Haag (The Hague) population is about 480,000. It is situated in the east of Randstad Holland. Den Haag is the seat of the national government and home of international institutions like Europol, the Peace Palace, the International Crime Court of the UN, and more than 80 embassies and many multinational companies. 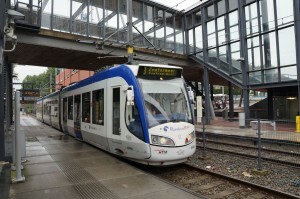 The city got many light rail connection lines, but also something called a tram-train system called RandstadRail. This is light rail trams that can go faster than 100km/h. Line 2, Line 3 and Line 4 are part of this system and they share tracks with the metro and with the tram inside Den Haag city. Metro Line E can also be said to be part, but also Tram Line 6 which shares the two underground stations and Den Haag Central station is part of it also. This station is obtained by Line 2, Line 3 and Line 4 of the train-tram lines. Also Tram Line 6 is running on the very same bridge, just above the Den Haag Central station. This station is a very modern and the whole station looks very futuristic. 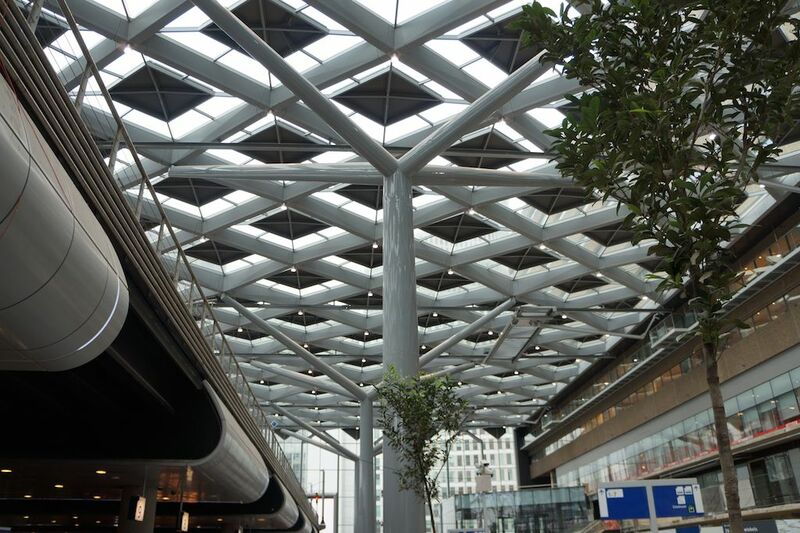 It is well designed and it connects with the Train station which is under perfectly! Talented designers, I must say. I am bringing this in the start of this article, because its something that needs to be covered. I’ve never been to a place where a tram-train got a circle line that is so odd but yet so brilliant at the same time. To get here, you can take either Line 3 or Line 4 from Den Haag Central station. These two lines runs together with Metro Line E from Laan Vaan N.O.I station to Leidschenveen, where all of the stations between have different platform heights. In Zoertermeer these two light rail lines cover the area pretty well. With Line 3, which is the most special one goes a circle around the whole area. 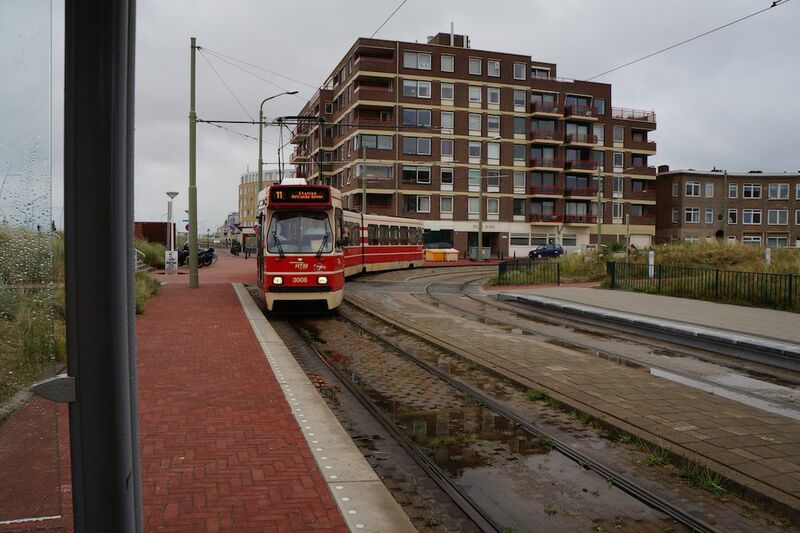 On its journey around the circle, Line 3 also crosses Line 4 at Voorweg station, before it ends at Centrum West station which is also covered by Line 4. The Line 4 is just a normal line though, but it goes to Javalaan. You can also take Line 3 from Centrum West towards Palenstein station where the lines divides. Confusing? It is for beginners, and I think this area isn’t ment to be for tourists neither. But Distrita visited it, to tell you about it. So, if you are interested in how a train-tram runs. Be sure to visit Zoertermeer if you visit Den Haag. Many will argue and say that the canals and all of the tourist attractions makes Amsterdam a better city? Well,.. the city feels not so well maintained. There are many people in Den Haag and Rotterdam too, but Amsterdam is a bit overcrowded for my taste. It got delicious restaurants and the canals looks great. But Den Haag is something not-expected. It got promenade, and it got very beautiful buildings which are old and new. The designers have really had a spirit within. The old and new is put side by side in a very calm way. Your eyes doesn’t bleed, but makes them relax because of the great design. The city center, the trams, the underground stations, the central station, the bridges and the buildings put this city into one of the wonders cities in the world. I took the train-tram light rail line there, but I also managed to explore the city with Tram Line 11. This line runs between Den Haag Holland Spoor station and the beach station which is called Scheveningen Haven Strandweg. Here it is very nice and I made some really nice photos of the beach and the ocean. It is nice to see such big city have made such nice cconnection with the sea and its public transportation. More cities should do this. Not just for the enviroment, but also for great atmosphere. Trams lives up cities. Anyway. Den Haag is a great city. The city center, the trams, the underground stations, the central station, the bridges and the buildings put this city into one of the wonders cities in the world. Also another thing I noticed is that the people are more friendly than in Amsterdam. You can as and they will help you. This is good service. In Amsterdam it seems like hotels are a bit tired of tourists. Our hotel personal told me that she is so happy for going on holiday abroad because August is touristic headache. Den Haag doesn’t seem to have this mentality at all. It is a very nice and a calm city. I loved it very much, so if you have visited Amsterdam, Rotterdam or Brussels or any nearby city. This city is really recommended. A dutch beach city that is a real city with charm and great atmosphere with only one thing ruin it for a complete score. The security on trams and in the underground stations. They are there, even if the ticket system is the same as in Amsterdam. You need to check in and check out by pointing your travel card to the check machine inside the trams. Some of the security allows you to take pictures, while others not even if there is no written sign on any of the two underground stations stating its forbidden to take pictures there? Such misleading info is creating more hassel. Without these security guys on every tram and on those two underground stations in the city center, Den Haag would have got full score. Nice city. Beautiful promenade. Nice buildings and one of Europe’s best public transportation system. It is a shame that the security pulls the score down. Also the none-compatible transfers between trams, trains and Metro Line E. This is complicated and I saw many tourists asking about silly questions that wouldn’t be necessary if all of the companies co-operated together.